Run into some old friends from another group or board? Want to do a little schmoozing, talk over old times? Or just some off topic stuff, then this is the place. Canuck wrote: Hi all, I finally decided to sign up, I have been on this site reading posts for quite some time now. Not sure why it took a few days to finally activate it, maybe it was my name, anyways I have been a diehard Viking fan for about 15 years now, I went to my first game last year down in Seattle unfortunately we lost but it was awesome, other then the crazy rude fans down there, luckily I was just behind the Vikings bench so I had a bunch of Viking fans to cheer with. I live in Vancouver Canada so that's the closest they come, so ill be down there again this year and hopefully get the W this time. I would love to travel to Minnesota and catch a game there sometime in the future. Winning in Seattle would be nice! Hopefully you get to see it! My name is Ragnar. I'm from Visby, Sweden. I started watching Am. Football in 2012 which was when they started to air it in Sweden, however I only watched a couple games here and there because they usually air between 2:25am ~ 5:30 am. But I've decided to be more serious about the sport after a Swedish streaming site started to offer NFL. Now as for the reason I'm a Vikings fan is not only because I'm from Sweden, but also because Minnesota is the state where Nordic ancestry is the highest. And it is the state I as a swede feel most connected with, I even know of distant relatives who settled there. Anyways, I registered because it is a great way of learning the sport and getting more involved with it, and ofcourse--meet other Viking fans! *I'm not gonna bother correcting the spelling of this word, because the english language doesn't have the letters in their alphabet, and you know where it comes from and what it means in our language(s) which is awesome, as it can't be considered a loan word. And the fact that you also blow in a Gjallarhorn before games really makes it feel alot more authentic. Just wanted to say hi to everybody. I am a huge Vikings fan from Germany, and I have followed the team since 2005 (boat scandal) when I spent half a year in Minnesota. I've been reading this board for about 2 years. High point of my short fandom: Reaching the NFC Championship game in 2010. Low point: NFC Championship game in 2010. 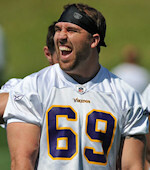 Favorite player would be AD and CP on offense, Jared Allen on defense. 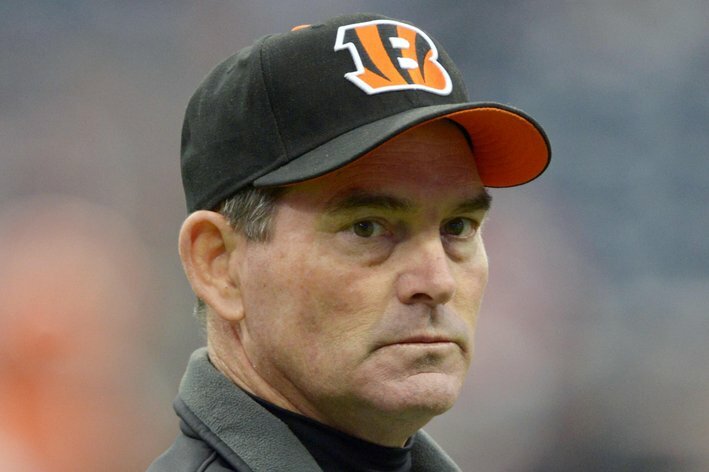 I'm really psyched about the Zimmer hiring and hope some good coordinators will follow. This is not Detroit, man! This is the Super Bowl! simonton18 wrote: High point of my short fandom: Reaching the NFC Championship game in 2010. Welcome! Glad to have u here! Thought I would say hi in this thread. I grew up around Rochester, MN and after HS eventually moved down here to Kansas City. Although I live about 20 mins from Arrowhead Stadium I still have purple running through my veins. Just haven't been able to like the chiefs. Maybe its the fans that annoy me, maybe its the team. Just can't get into them. 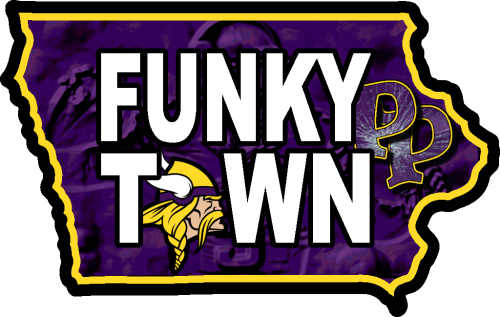 Anyway, not a whole lot of people around me that I get to talk Vikings Football with, and the forums on Vikings.com don't seem to exist anymore, so went searching for something else. Found you all. 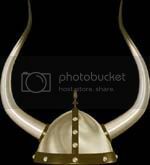 BTW, I didn't realize there was already a poster by name of Kansas Viking. Should I change my name? Is that possible without re-registering? Welcome to the board. It's not a problem for me if you keep that name. Good seeing someone else from Kansas here. Plus a Johnny Randle fan at that. Kansas Viking wrote: Welcome to the board. It's not a problem for me if you keep that name. Good seeing someone else from Kansas here. Plus a Johnny Randle fan at that. Hey guys im not really new, just never actually introduced myself. My names Kyle I am currently enrolled at Mankato State but grew up in St. Francis (Hour north of the cities) I eat breath sleep Vikes and Twins, played baseball all throughout elementary - high school! The term fan comes from FANatic or fanatical. Hey guys, newbie hanging around. Based in Sydney AUS and need a place to talk Vikes. Most NFL fans over here are bandwagon supporters. Which means heaps of Giants, Pats & Niners. I'll actually be coming across for the Vikes v Pack in Green Bay. Would love to tailgate, hit the beers and see it with other Vikes fans. Very cool. I had a chance to travel a bit through your lovely country (Gothenburg, Ostersund, Stockholm), and it made total sense to me why my Swedish ancestors would have settled in MN. The green hills and lakes reminded me of home. The people were wonderful too. Glad to see you posting here. Let's hope the Vikings give us something to cheer about this year! I have read the forum for a while now and thought it would be time to actually join up. So here it goes. Hello from the UK my name is Sean. Started watching football when I was younger 10 years plus ago but didn't have a team back then. Started to watch more and more and found that I started to follow the Vikings. Realized this when I started getting really peed off when we lost or played poorly. Go to the International Series games every year at my home town Wembley and I really want to come over and see the Vikes at home one day. I look forward to speaking to you all.